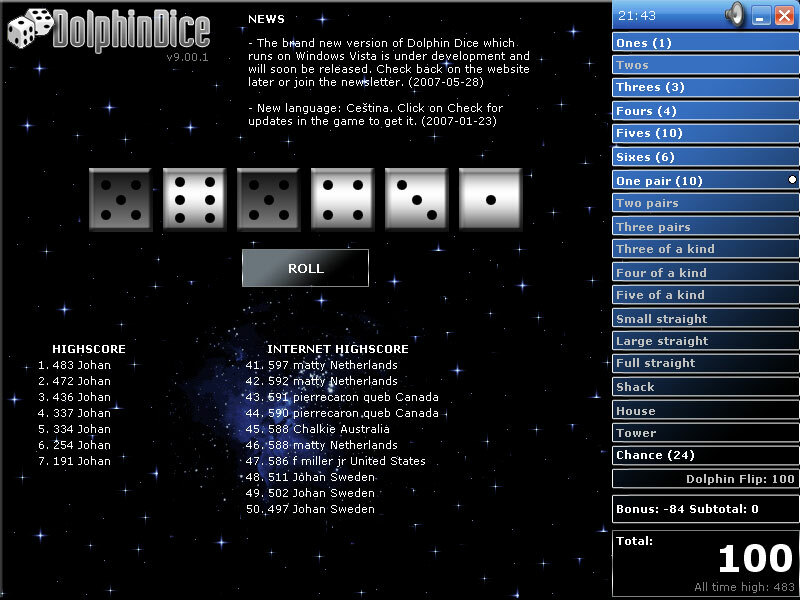 Dolphin Dice XP is a dice game. The object of the game is to get as high score as possible. You can compete with Dolphin Dice players around the world with the global highscore table, where you can upload your highscore at any time. In the beginning you have 60 rolls. You have to use these rolls wisely, or else you have no rolls to use in the end. On the first roll of your turn, you must roll all six dice, then on the second and third and so on, you may roll any or all of the dice again. When you're happy with the roll, you have to select a category for the score. Dolphin Dice does not describes it self as freeware. Looki looki. I think it's great! and addictive.